Since 2014, the FSF has offered another way to involve your community in helping free software and put your unique voice out there for others to hear. The instructions below will show you how to create a custom Web page that people can use to donate to the FSF. You won't need any coding ability or technical knowledge, and don't worry if you can't raise a lot of money. Every little bit counts! Setting up your page takes about fifteen minutes, and you can edit it afterwards if you want to make a change. You can check out a sample personal contribution page before you get started. Don't feel constrained to use English for your page; we welcome pages in any language. Start at the the page creation system. Log in to an existing FSF account or create a new one. Make sure your information is correct and then click Continue. Now it's time to create the content of your page. Fill out the fields (or at least the required ones), sharing why free software is important to you. We've added some tips for designing your page below, as well as sample text. Feel free to use some of the sample text when writing your page. Click Save when you are done. The system will show you a version of your page with additional options only you can see, to administer the page. Copy the URL and record it somewhere, log out and visit the URL again. This is what the page will look like to others. Now that you've got the URL, you're ready to promote your page. This is what will rake in the big bucks. Do whatever feels right to you -- this is about expressing yourself and showing people why you care about free software. Tips below. Once you've created it, you can sign back in to the system and edit it whenever you like. Remember: anything you put on this page is publicly visible, and the FSF may promote your page if we think it's awesome. Please send us an email at campaigns@fsf.org if you'd like us to refrain from mentioning you publicly, or if you have any questions about your page. Tell people why you believe free software matters. You can talk about your favorite program, or the problems with proprietary software, or an FSF campaign you love. Think about who you will show your page to and tailor it for your audience. Think especially about how much of the technical details of free software they will already know. Precise language goes a long way when talking about free software. Check out the guidelines that the FSF uses to make sure our message comes across the way we intend it. If you know HTML, you can use it to format the text fields. Pick a goal that is achievable but ambitious. We recommend at least $250. Pictures are optional, but a picture of you will make your page more welcoming to your friends and encourage them to help you. The honor roll and progress bar features are fun, but feel to disable them if they cramp your style. Email your friends and family and post on social media. Follow up offline, asking people if they've donated yet. Recommend a specific amount, like $25. You may find that people are willing to help even if they aren't already free software supporters, if you just show them how enthusiastic you are about the cause. You can leverage the holiday season by talking up your campaign at family gatherings or requesting donations as a present. Help me help the Free Software Foundation! Since its inception in 1985, the FSF has been a linchpin in the world of computer user-freedom, shepherding and supporting the GNU Project and GNU General Public License, and legally defending free software from those that would lock it down. It also uses public advocacy to confront proprietary software giants and show the world that there is another, freer way. The following message was created several years ago: feel free to write your own! It's awesome how much this little organization (currently only twelve people!) has accomplished in its first 30 years, but it need our support to keep going for another 30 more. The ethical principles of free software and computer user freedom will only become more important number of people around the world using computers grows every day. Will you help me help the FSF? We offered prizes to help launch our personal fundraising pages in 2014. These offers are no longer valid. 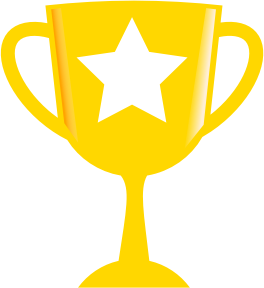 All prize winners (and any pages we especially love) will get public mentions from the FSF.